The Foxfield Railway is a preserved standard gauge line located south east of Stoke-on-Trent. The line was built in 1893 to serve the colliery at Dilhorne on the Cheadle Coalfield. It joined the North Staffordshire Railway line near Blythe Bridge. 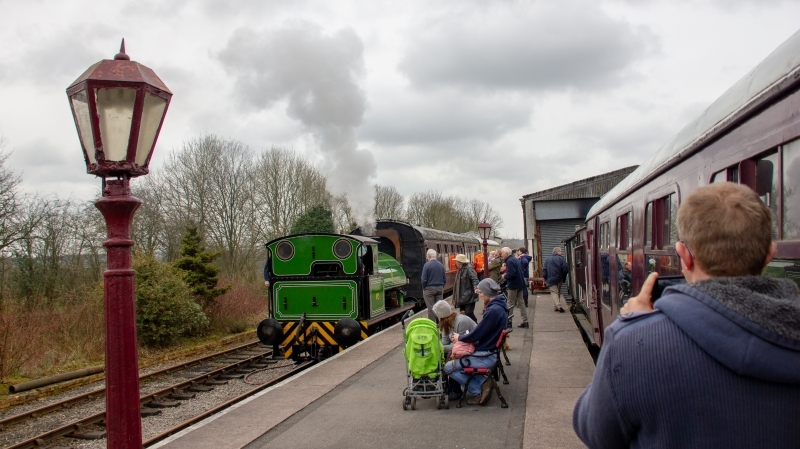 It is open at weekends and operates trains on Sundays, Bank Holidays and some Saturdays from April to October and Santa Special trains in December. Please give us your overall rating for Foxfield Railway.